This article is for the sadhak who asked to write an article on how to deal with people who are non-ShivYog sadhaks, especially the people at home. Hoping that this article that reflects more of my personal experiences may help. These are only expressions of my views with an only intention to provide a fraction of Babaji's teachings and love, to whom I am ever grateful. It is very interesting for some and frustrating for some sadhaks who are now acquainted with living in a different world - a world of Babaji's love but at the same time also have to share the "old" world which they previously lived in and are no more comfortable in. In reality both are not two but the same physical world but nonphysically a spiritual and a nonspiritual person reside on two different planes of consciousness. I can write a bit on this because of my personal experiences in the journey of spirituality for as long as six years now and experiences after joining ShivYog more a year back. In both, life has been pretty exhausting and difficult until I realized the technique of coping with both worlds by the grace of Babaji. About for six long years I struggled in desperation and frustration not knowing how to navigate through a world of all types of people, especially non-spiritual people. Somewhere before the "awakening" of the truth of life, my life was a very merry one constantly engaged in alcohol, cigarettes and even through phases of chewing tobacco and relishing nonveg almost on a daily basis. My days ended with friends in a bar post 8 p.m. till about midnight in our favorite bar and I easily puffed up more than a pack of cigarettes. I quit these habits many times only to return back to it after a couple of weeks, days or even sometimes hours. At that time, the world was fun and there were no actual problems in life apart from a few little things. Friends were plenty and life went on, until the day when certain facts dawned upon me and life turned hard on many issues. Pondering over the meaning of life, I really got inspired to get to the core of the "truth". Till then everything went fine. But the moment spiritual things caught my attention and a few little changes started happening, there began some noticeable changes I found things getting harder. Nevertheless, I persisted trying to get "cleaner". Slowly as my patterns changed, my lifestyle changed. I surprisingly noticed that everything around also started changing. Friends started moving away one by one, either by a fight or misunderstanding or simply unwillingness to move ahead together any more. I was confused. Internally I knew that things are right but externally I saw and felt that things are going wrong. Soon the attitudes of people changed. I started encountering problems of every sort coming up in the form of hurdles and obstacles in whatever I did. In a matter of 4 to 5 years, things completely changed. I saw a complete new set of very few friends. My lifestyle had completely changed. All things that did not suit to my new energies had vanished. I had quit the job as things were getting too much on nerves with office politics. Things like these were becoming unbearable and I just snapped away from such situations. I realized that I never felt like drinking or smoking and these habits just abandoned me all of a sudden, something which previously used to be a struggle. All the while I was digging into lot of books and information on the internet that kept me informed of why these things are happening. I learnt that I was embodying the new light into my body and as it happened, anything impure and not matching the new vibrations had to leave. But I held on to things (negative) dearly because I had spent a conscious lifetime with them and felt insecure letting go. I learnt that the more I held them dearly the more I suffered in forms of physical, mental and emotional traumas. I wondered in anger why does these things have to happen in spite of me trying to do only good? The more I wanted to do good or become good the more problems came up. Slowly, life snatched things away from me, one by one, that I held on dearly. I researched more and found that like things attract the like and thus like-consciousness attracts like-consciousness. When I deeply contemplated I knew that all the people or things that were no more around me, never matched my frequency, thinking, views, or vibrations. I continued struggling knowing that something is still wrong somewhere because I was still suffering. If things are meant to be for good, why was I suffering? Please note that the above experiences are deliberately put up here and it does cover the tittle of this article. After coming into ShivYog everything started unwinding and I got to know why these obstacles were happening. I got to know that only things that matched our vibrations get close around us and that gave me some peace and contentment. I was somewhere happy that it was my creation for if I change my ouitlook things also have to change. I then got into a world of my own where it was shut away from all other negativities or sources of suffering. Surprising, these changes kept me even relocating to different locations in the city I reside in. I initially thought it was a problem but later I understood why this is happening. I was knowingly or unknowingly being drawn towards things, people and places that vibrated at my level - and this was and is happening constantly. Happening with every thought that is emitted. It is simply creating reality! I learnt here that I was creating everything, every second, with my thoughts. The more I repented or fussed about things I did not want, the more I was creating a foundation for such things to happen in life. The more I questioned and doubted the process, the more troublesome and painful the journey got to be. I had spent 5 years into this experimenting process and I thought if I had only come under the grace of Babaji then, I would not have wasted this time. But then something assured me that everything happens at the right time and everything around is divinely in perfect order. Entering into ShivYog only meant more of practice and living with what Babaji taught. This intensified the "troubles" with people who did not match my vibrations. Thankfully, by this time I had realized through so many past experiences that all people are not the same. All people of all religion and practices are not the same. Why religion, even people within the same practice and even under the same guru are not the same, though they all may look to be same. In ShivYog, I realized that everyone's level of consciousness are totally different, even among sadhaks. That is why we can see indifferences even with people practicing the same sadhana. Babaji says, "It is not necessary that what I say will be taken in the exact way by everyone. Everybody will take it and interpret it according to their own level of consciousness." Now, this can be seen across all religions and faiths where the masters and saints were interpreted is so many different ways. Babaji says, "Even a guru who appears to be true to one appears to be a fraud to another." The truth is what it is, but every soul has it's own perception of truth. I realized this and found it in people around me. Many criticized and mocked me of getting into ShivYog. They all said I have become a baba. Some friends mockingly called me Sri Sri Sri. Some called swamiji. Some said I have gone mad. Some discussed among themselves and came to a conclusion that the problems in my life have driven me off mind. Some said I was running away from life. Some said that I am doing right but must do this in my old age. Some said they understand what I am doing but they advised me to do it in limits. Some said this is the time to enjoy life. Some said I was heavily influenced by some baba. Some warned me that I should test the path and guru in all ways before I walked it. Some said I have ruined my life. Some who could not say anything in front of me kept just mum with a constant expression of dissatisfaction and disapproval of what I was doing. Some just stopped talking with me. Some prayed for me. Some felt helpless because they wanted to help me but they could not. Some felt insecure and felt they have lost me. Some felt threatened as I was a Christian and did something very awkward. Some just left me alone. Some had wide grins when a few spiritual heads were in the media for some allegations. The "some" also included my own near and dear ones at some point. But whatever the "some" thought or behaved, not one asked me anything directly because they knew my answers would hurt them. I had nothing to bother about any amount of "somes" in my life by now because I had decided to walk the path. Moreover I had strong conviction in what I expressed because I surely knew what I was saying or writing. This stage was full frictions and repulsions. I was still not happy because I knew that this is not how it should be. Babaji many times assured that you will have everything better around you and here everything was so different. I started explaining to people how what I am doing is not wrong and I am on the right path. I tried to show negative people this path and terribly failed. Things actually went bad when I even attempted. Then was the time messages from Babaji made me realize that I should be more focussed on what "I am" rather than what "others are". Moreover, I had a conviction that if I am doing right then nothing else should matter. Finally I understood Babaji's message, "Be an alchemist!" An alchemist is one who does not try to convince others but first changes himself with the power of which others transform. Such is the power of alchemy." Then I learnt the very good art of keeping my mouth shut and not trying to convince or advice until I was asked. I simply did what I had to do. My sadhana, my job, my activities, and all the things I enjoyed without still compromising on ethics. People continued causing trouble for me when I did not go the way they wanted me to, but this time I just moved away and kept doing what I had to do, without holding any grudge towards anyone. I realized that people are not bad at all. They do things because of the held psychic impressions, in brief they are acting as per their karmas. Babaji says, "His karma is with him and your karma is with you. Be interested in your karma." He also says, "Do not try to change or manipulate anyone for you do not know their soul agenda. You do not have right to interfere in their karmas." He warned many times, "The biggest sin is to control anyone's life or to curb someone's independence." So Babaji says to allow others to be as they are and it comes in his main teachings - ACCEPT people the way they are. So, it is quite obvious that things might not fall into place immediately. There will be times of opposition, frictions, arguments or unexpected reactions from other people in the family. One thing to be noticed here carefully is that a practicing ShivYog sadhak is full of positive energies and is constantly emitting this energy. Any negative energy (person) around may find it intolerable and thus not cooperate with you immediately. Also there may be adverse reactions from members who are given healing. It has to be known here that it is they negativities that are surfacing and is their healing process. Moreover sadhaks who themselves are now transformed and see negativities and reactions totally from a different view in their own selves will not find these similar reactions coming from others as right. It is a testing time for sadhaks also because this is the time one has to be more loving and more patience. Concentrate more on UCL, acceptance and forgiveness in the sadhana. There are numerous sadhaks who have expressed these non-supportive reactions at home after returning home after shivirs, which shows this is a common phenomenon. Even the person towards whom you send love and healing may at first react a bit different but be persistent anyways, continue healing and sending love. In some cases, people who are very negative may be moved away from you creating some situations. Babaji says, "When you make yourself fully positive, either of the two things will happen - either people will be transformed due to your positivity or they will drift far away." Here, I wish to emphasize that one should not focus on drifting people away. One should only focus on self-purification and not try at all to change anyone around in spite of the temptation to do so. Only good should be sought for everyone. Everything should be with an act of surrender and natural. Patience play a very, very important role here. One has to understand that even sadhaks emit negativity in the process of self-purification and healing. In shivirs one can notice what happens when Babaji's energies are high for some. Carrying this understanding towards all other human beings will assist one in extending the patience. Not reacting to the negativities is an advantage because eventually the person will realize they cannot disturb your peace of mind. One fine day, they will give up. Still if your positivity is strong and continues, they are bound to transform. What I have personally noticed is that it becomes easier if we practice ourselves and reach a stage where nothing can disturb us. This is where Babaji's "Jis vidhi raakhe, us vidhi rahiye" and "Har haal mein khushi" comes to rescue. Getting too emotional for others will never help as it will only cause misery to you and them. Taking things from a more responsible view helps. If one's situation with others are too overwhelming, then the best thing is not to meddle much with it and call for Babaji's help. Surrendering to Lord Shiva and asking him to guide and bless you in this situation will surely put things as to what is for your highest good. For anything, patience is the best policy. What seems deterioration to us or bad-to-worse for us is only our interpretation. The outcome and the situational demands should be surrender to the Divine with an act of surrender. I have had many such testing times and in times when things do not go my way or do not go according to what I wonder should have happened, all I do is remember Babaji's "Har haal mein khushi" and "Jis vidhi raakhe us vidhi rahiye." and it has to help a great deal. In any circumstances DO NOT stop sadhana or healing. DO NOT get disappointed or frustrated. Even if this happens, remember that you are on the path and get back on it quickly. Know that negativities are waiting to pull you down at any given instance and you would not want them to succeed at any cost. 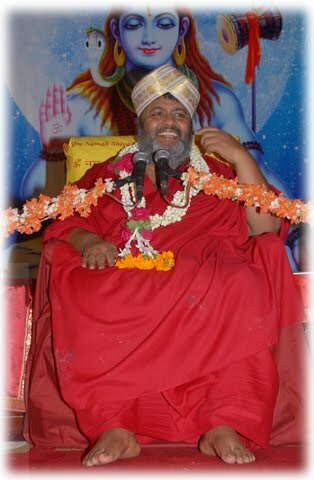 As I end this Babaji's voice thunders in my head "Be an alchemist!" A wonderful article, i can relate to what you have written, like you it was tough for me also to keep my mouth shut(as i thought i m more gyani than others). Thanks so much for sharing. Thank you Akash, Maneck, Sehaj, Hardik and other for your positive words! This blog and all its contents are very strongly inspired by Babaji and it is his force that drives me to write every single word. Love and gratitude to Babaji for this. Namah Shivaya.. Thanks for sharing Shilpa... will surely write on the Goa shivir.. Namah Shivaya! There were week moments in my life when i had committed something wrong, and was not able to forgive myself when I had realized it. and the feeling of guilt was more worse than the actual sin i would had commited. When i came to shivyou the first thing i learned was to forgive myself, love myself.. then automatic i started forgiving/loving others. There is quote "if you have made a mistake, there is always another chance for you. You may have a fresh start at any moment you choose, for this thing we call failure is not a falling down but the staying down.